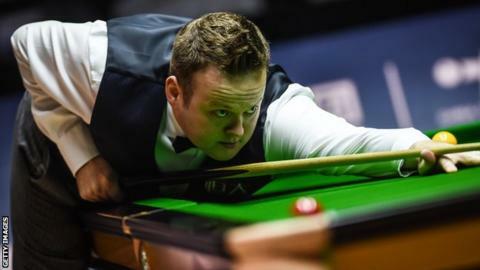 Fans getting into the festive spirit annoyed both Shaun Murphy and Mark King during their UK Championship quarter-final on Friday. Murphy won 6-1, but both players were unhappy with some of the crowd. "There were several people who looked as though they had enjoyed York's festive hospitality throughout the day," said Murphy, the 2008 winner. "One gentleman fell asleep in frame two. He was asked to leave because he was snoring his head off." King said: "A woman looked like she had one too many and kept talking. She was being a real pain. "Why do some people come to watch? It did not put me off but she kept sniggering and talking when Shaun was at the table."